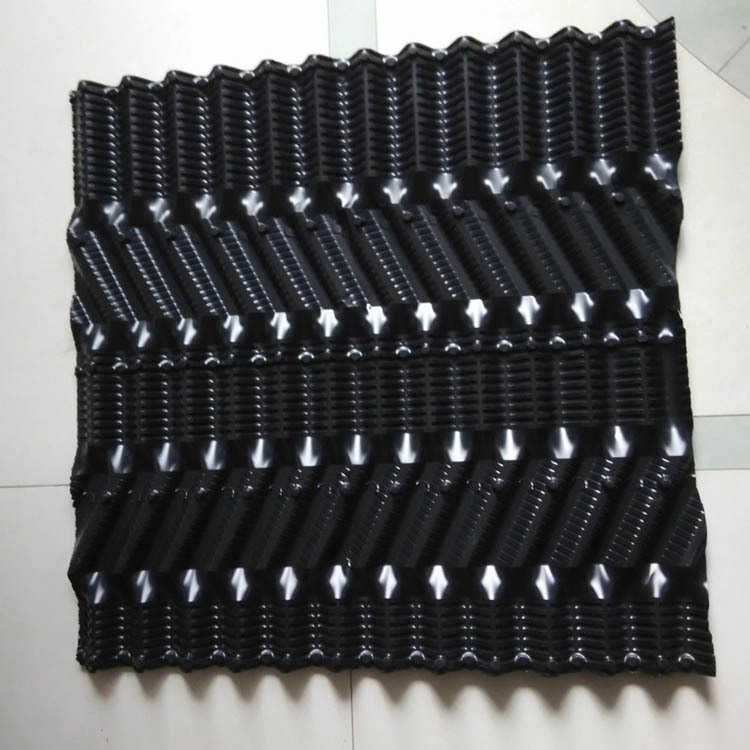 Offset-Fluted pvc FillÂ combines the low-fouling characteristics of vertical flow with the enhanced water distribution of our cross-fluted designs. The OF21MAâ€™s high thermal performance (high KaV/L) and low pressure drop are similar to the CF1900 design but with lower potential for fouling. 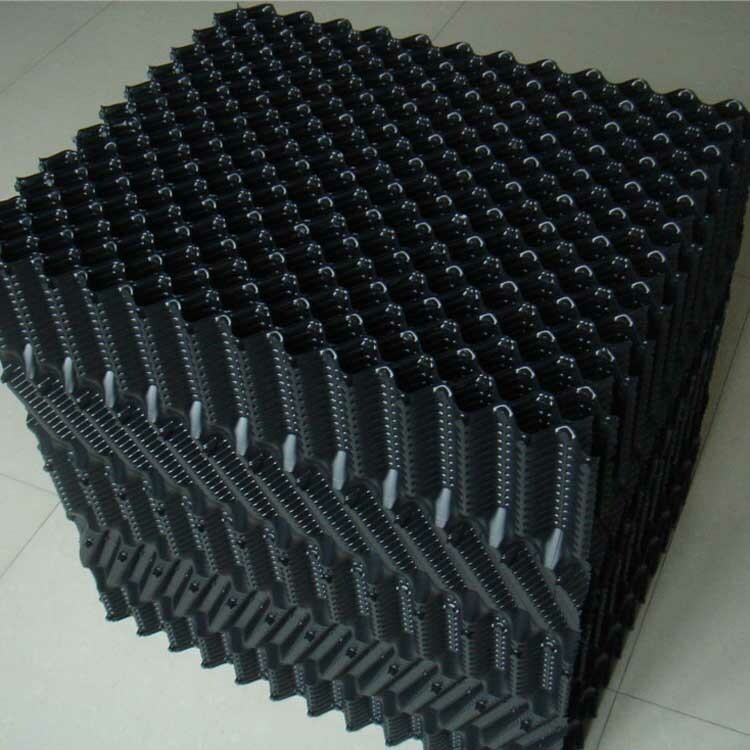 Cooling tower Pvc sheet thicknesses are quoted in final gauge (as measured after forming) of 0.010″ (0.254 mm), 0.015″ (0.381 mm), or your specific requirement. All fill products are available in PVC and are UV stabilized. The PVC compounds used in fills have outstanding resistance to weather exposure and are nearly impervious to chemical degradation by alkali, acids, greases, fats, oils, and biological attack. Â PVC has an excellent fire rating due to its self-extinguishing characteristics, and meets or exceeds Cooling Technology Institute Standard 136. HPVC (high temperatures), PP (polypropylene), and ABS plastics are also available for special applications.